Imprivata® (NYSE: IMPR), the healthcare IT security company, today announced that Imprivata Cortext®, the secure communications platform, now supports clinical speech recognition through the Nuance Dragon® Medical One cloud platform. 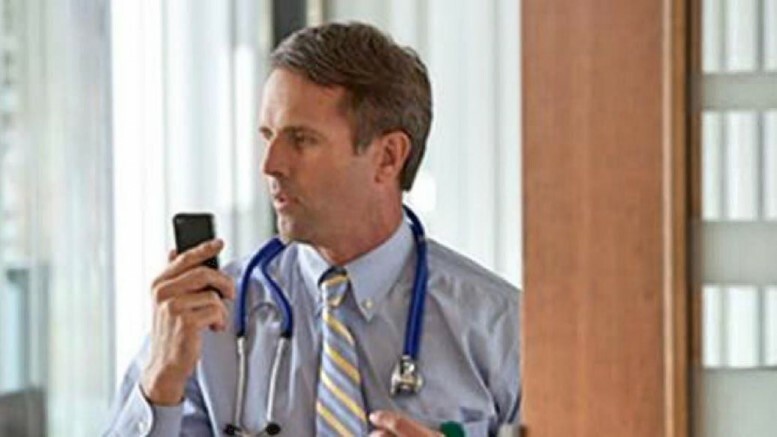 Using Dragon Medical embedded in Imprivata Cortext, healthcare providers can speed the input of accurate, high context patient care communications, including orders, by allowing physicians to say what they mean. The Joint Commission, which accredits most U.S. hospitals, recently lifted the ban on texting orders as long as licensed practitioners meet specific criteria that are under review until September. Dragon Medical embedded in Imprivata Cortext offers a seamless, secure, and professional-grade voice experience through a speaker-adaptive engine, custom vocabularies, auto-texts and templates, built-in visualization and feedback, voice navigation and correction, and anytime, anywhere access. This delivers a single, personalized, and consistent experience as clinicians move between the desktop, web, and mobile devices and across the EHR and mobile productivity apps. With a robust medical dictionary and specialty language models designed for healthcare, providers can speak at their own pace and dictate the latest medical terms and phrases at more than 150 words per minute. Named the 2015/2016 Category Leader for Secure Messaging by KLAS and endorsed for secure messaging by the American Hospital Association, Imprivata Cortext is the secure communications platform for healthcare that facilitates care coordination by allowing physicians, nurses, and patients to connect, communicate, and collaborate securely from any workstation or mobile device. This integrated solution is now available to all Imprivata Cortext and Dragon Medical One clients. For more information about Imprivata Cortext, visit www.imprivata.com or call 1-781-674-2700, and to learn more about Nuance Dragon Medical One, visit www.nuance.com/healthcare or call 1-877-805-5902 to see a demonstration. Click here to review a PDF about Imprivata Cortext with voice powered by Nuance Dragon Medical.